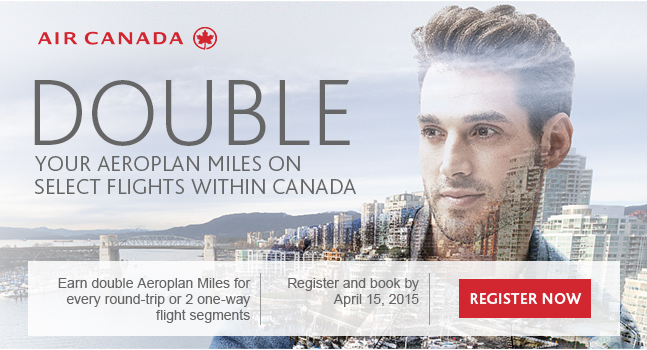 Also be sure to check your email if you were targeted for an exclusive Air Canada Double Aeroplan Miles offer for select flights within Canada. You can try registering here but if you did not receive the email there is a good chance you won't get the bonus miles. The $100 statement credit debacle from TD seems to be continuing. The latest comment on our post "TARGETED: Receive a $100 Statement Credit when you spend $100 or more with Air Canada on your TD Aeroplan Visa Infinite card" as one reader was told he wouldn't qualify for the offer and was offered 100 Aeroplan miles instead but now appears to be able to receive the $100 credit. We would love to hear from our readers on whether any of you have seen a credit yet and whether or not you were targeted for this offer. Home Hardware is offering 100 free Aeroplan Miles for subscribing to their emails! Find out more here. According to Airlineroute.net KLM has pushed back the launch of their Edmonton-Amsterdam service by two weeks. Swiss has some great fares available between Montreal and Europe. Fares start at $665 all in (that's to Malaga). Book by Mar 31 for travel until May 6. Find out more and book here.